Big Ups Bass Boaters & Merry Christmas! Ahoy party people! 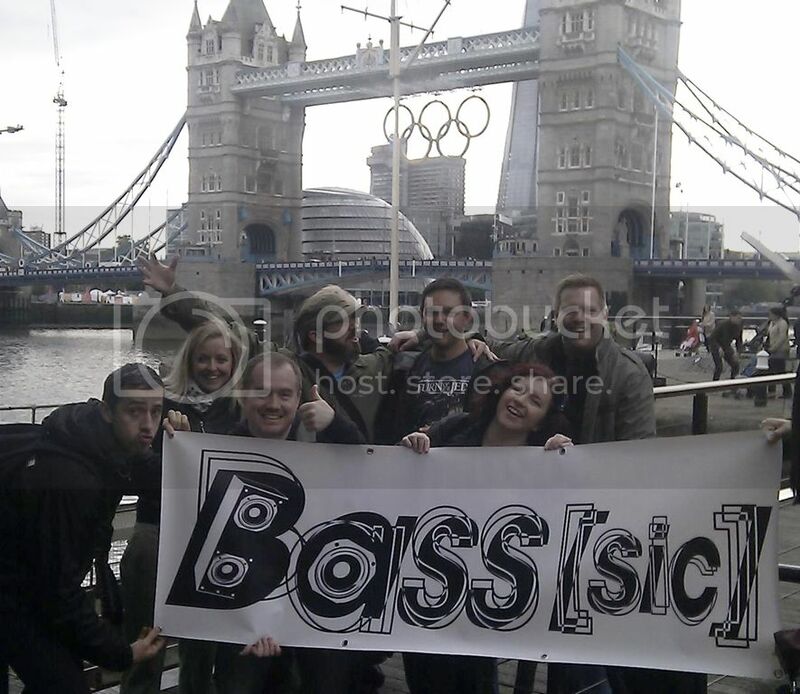 We just wanted to thank all of you who joined the good ship bass on Saturday night for yet another banging boat party. We had loads of fun and, judging by the smiley faces we saw on the night, we reckon you must have had fun too! So yeah, big ups to all of you! Extra big ups to Ben and the Supatronix crew and also Nick Deekline, the Hot Cakes massive, all the DJs and the lovely staff of the Dutch Master for having us! Roll on the next one! We’ve updated the Gallery page with all the pics from this party, as well as pics from our Birthday Party at The Cornershop last month, go check it out HERE! Righto, that’s all from us for 2012. We’ve had a great year and we really appreciate your support, it’s been amazing! We’ll be back in 2013 so keep an eye on this website for exclusive news about our future parties – you can also follow us on twitter too of course! We’d like to say a mega massive thank you to everyone who came down to The Cornershop for our First Birthday Bass[sic] Bonanza last Saturday. We had an absolute blast! It was great to see all of you happy people dancing ’till 4am. We’d also like to give a massive birthday big up to our guest DJs NAPT, Normski and Hedstate. A trio of pure musical lovelyness. 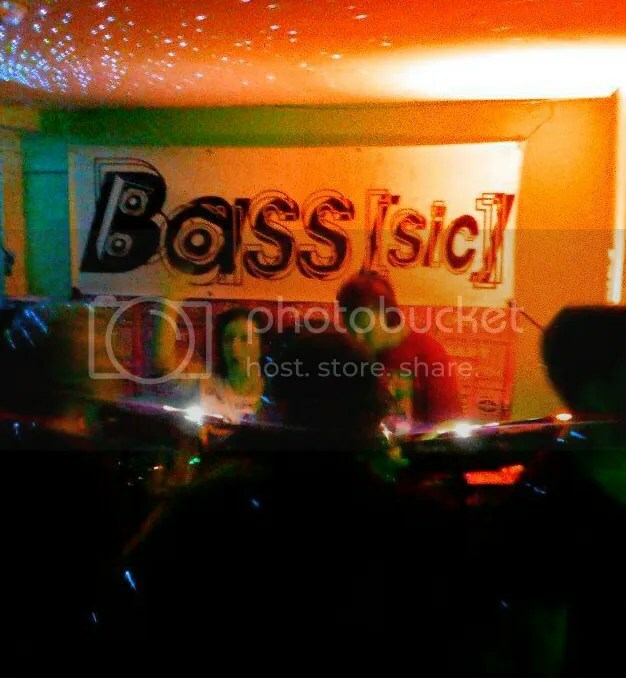 If you missed out on the fun last week or you just need some more in your life, don’t forget Bass[sic] is hosting the back room at the Boats ‘n’ Ho’s Xmas Boat Party featuring all the Bass[sic] residents plus 3-parts DJ, The Stanton Warriors, Deekline, The Freestylers, Lady Waks, JFB & more! If that’s not enough for you & you need even more Bass[sic] goodness to warm up the cold winter nights. Well, you can always download & enjoy promo mixes, podcasts & recorded live sets from our mixcloud. Check it out. Until next time… big ups. Just letting you know that the tickets for the Boats ‘n’ Ho’s Xmas Boat Party are now available to buy from the link below. Don’t miss the boat, get your tickets now! In what’s turning out to be a very busy end-of-the-year for us, we have yet another massive party to tell you about! Taking place only a few weeks after our upcoming mega 1st Birthday Party, we’re jumping aboard a boat on the Thames in London once again, this time as part of the legendary Hot Cakes Boats ‘n’ Ho’s Christmas Boat Party! 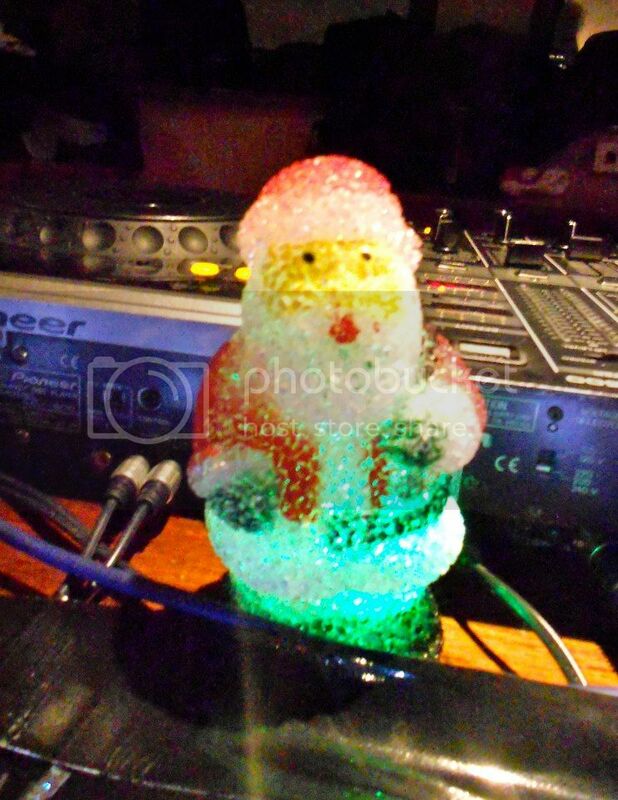 Yes that’s right, Bass[sic] will be throwing its very own Christmas Party in the second room aboard The Dutch Master Thames River Cruiser, with our ever reliable lineup of guests and regulars. And in the main room, the mighty Stanton Warriors will be unloading their santa sacks full of booty bass alongside Deekline, The Freestylers and loads more! The boat departs from Tower Millennium Pier at 6:30pm sharp – don’t miss the boat, get there nice and early! More details and tickets updates soon, keep an eye on this website! We just wanted to do a shout out to all the lovely peeps who joined us sailing the good ship Elite Force on Saturday night! It was a wicked party with both rooms nice and busy for the duration and all the DJs absolutely smashed the boat to pieces! Thanks to all of you for helping the party go off with such a bang, we loved every minute of it. And extra special big ups to our excellent guest Bobalino and to Shack and the Supatronix crew for getting us involved, it was a privilege and an absolute pleasure to be on board with you lovely lot. Now, we barely have time for a breather before the next Bass[sic] party, back at The Cornershop in just under a fortnight, with special guests Ben & Lex and Mobius. All the details are HERE! And don’t forget, this next one is absolutely FREE as per usual, so we hope you can join us once again and help us smash Shoreditch to pieces! Keep your eyes and ears out for another Bass[sic] Special on NSB Radio coming soon too, as well as an exclusive promo mix from one of our illustrious guests – more info about all that very soon! Er, yeah, sorry about all the nautical cliches, it’s just that we’re more than a little excited about tomorrow’s boat party! As you’re no doubt aware by now, the Elite Force Boat Party is now completely sold out, so we’re really looking forward to rocking a boat full of ravers! The Dutch Master will depart from St. Katherine’s Pier (NOT Tower Millennium Pier as originally advertised) at 18:45 sharp! Please be at the pier, ready to board, BEFORE 18:30 at the latest, to allow for a swift departure. The boat won’t wait for latecomers, so make sure you’re there in plenty of time otherwise you’ll be left behind! The nearest tube station is Tower Hill. There are no physical tickets for the boat party – if you’ve paid for tickets your names will be checked off a list at the pier and you will be issued with a special pass prior to boarding. At the conclusion of the party, the boat will dock back at St. Katherine’s Pier at around 23:00. Oh and one last thing, the Bass[sic] crew will be meeting up for pre-boat drinks here. Feel free to come and say hello/join us for a pre-boat jager or two! Boat Party Tickets SOLD OUT! 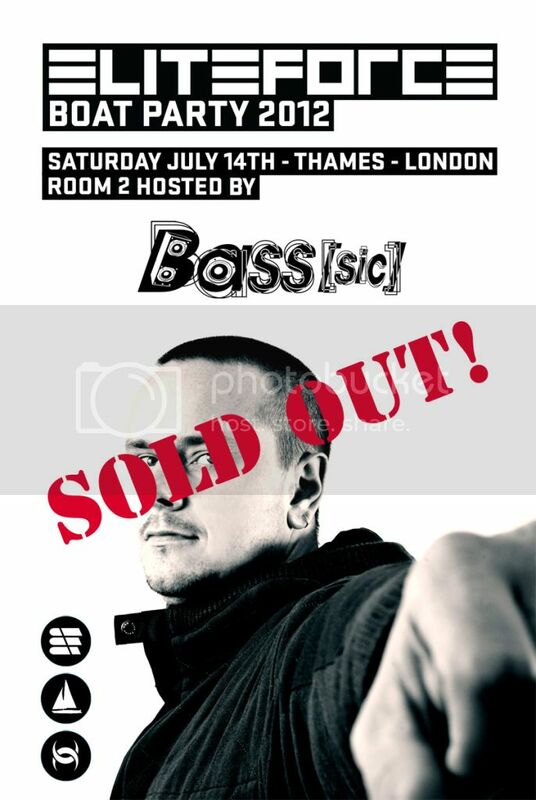 Just a quick note to let you know that tickets for the Elite Force Boat Party are now completely SOLD OUT! And also a very important reminder that the boat will now be embarking from ST KATHERINE’S PIER, not the nearby Tower Millennium pier as previously advertised. Make sure you’re at the pier by 6:30pm for a prompt 6:45pm departure, we don’t want you to miss the boat! Oh and to help you get warmed up for the party, Hubie will be presenting an Elite Force Boat Party Special on NSB Radio this Tuesday night. All the details about the show can be found on Hubie’s website HERE! See ya on board gang! This is just a quick heads up to let you know that tickets for the Elite Force Boat Party are selling very fast… so fast in fact that they are almost sold out! So if you don’t have yours yet you’d best pull your fingers out and get them NOW! Standard Boat Party tickets are now sold out. We still have a few of the Special and Deluxe tickets available, but we expect them to be completely gone within the next 7 days. Don’t miss the boat! Get your tickets HERE! 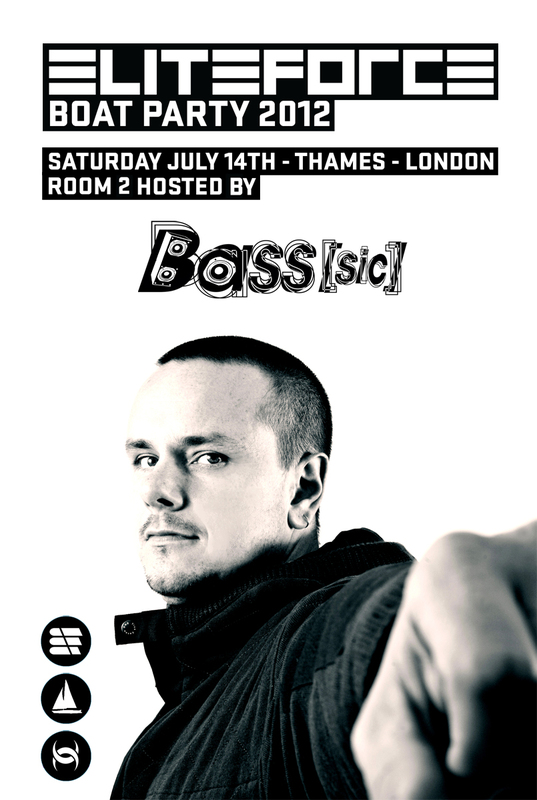 We’re proud to announce that Bass[sic] will be hosting the second room at the illustrious Elite Force Boat Party on Saturday 14th July! That’s right, the troubador of tech-funk, Mr Elite Force, has kindly asked us to join the party by hosting the second room on board The Dutch Master as we set sail for bassy waters along the Thames River here in London. Tickets are strictly limited – no door sales – don’t miss the boat, get your tickets NOW!